Atmospheric nitrogen (N) deposition affects litter decomposition. However, how endogenous litter quality and exogenous resource supply alter the N deposition effect on litter decomposition and deposited N immobilized by microbes remains unclear. 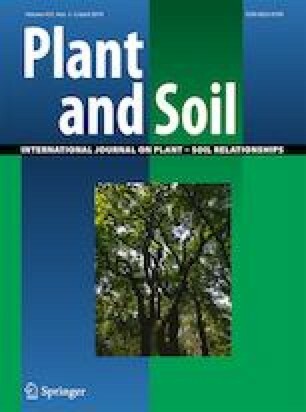 We conducted a laboratory experiment to examine how the N deposition effect on litter decomposition varies with endogenous litter quality (needle litter with higher C/nutrients, low quality litter versus leaf litter with low C/nutrients, high quality litter) and exogenous resource supply (five treatments: N addition alone; N plus non-N nutrient and/or carbon addition; control) using a 15N tracing method. Nitrogen deposition increased the % mass and % N remaining across the decomposition process. Adding non-N nutrients increased the N deposition effect on % mass and % N remaining in the decomposing high quality litter but not in the low quality litter. Moreover, the % P remaining was increased in the low quality litter but was decreased in the high quality litter under N deposition. However, adding N and non-N nutrients together increased the % P remaining in both decomposing litters. The immobilized exogenous 15N abundance (IEN) was much higher in the decomposing low quality litter than high quality litter. For low quality litter, resource addition treatments affected IEN, but their effects depended on decomposition stages. For high quality litter, carbon addition alone generally increased IEN across the 720 days. Nitrogen deposition effect on litter decomposition could be altered by exogenous resource supply, but the pattern ultimately depended on endogenous litter quality. Nitrogen deposition generally suppressed the litter decomposition and non-N nutrients addition enhanced the inhibition effects of N deposition on litter decomposition, especially of high quality litter, while lower quality litter tended to immobilize more exogenous deposited N. Thus, the magnitude of both non-N nutrient availability and litter quality needs to be taken into consideration when assessing the effects of N deposition on litter decomposition. The online version of this article ( https://doi.org/10.1007/s11104-019-04006-z) contains supplementary material, which is available to authorized users. This study was supported by National Natural Science Foundation of China (grant numbers 31730014 & 31360179); Jiangxi Provincial Department of Science and Technology (grant numbers 20181ACH80006 & 20165BCB19006) and CAS Interdisciplinary Innovation Team. We greatly appreciate Jing Fan, Pei-Qing Li, Yu-Fei Zhang and Yu Liu for their help in field sampling and laboratory measurement, and Bridget L. Blood for language embellishment.